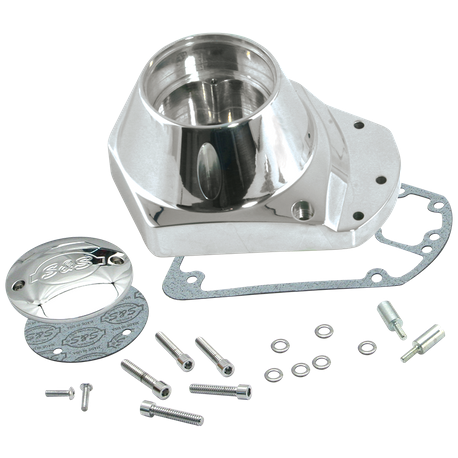 The 1973-'92 style billet gearcovers are a great looking upgrade for stock 1973-'84 engines, and are standard equipment on S&S® engines for 1970-'84 chassis. Gearcovers for this model year group have an internal breather passage required for engines that have the crankcase breather routed directly out of the crankcase. 1970-'72 engines can be updated to use this cover through simple crankcase modification.